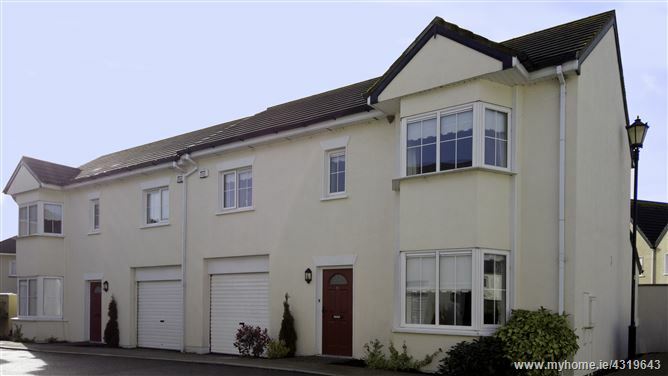 Property Partners Buggy present this immaculate three bedroom semi detached home. Rarely,if ever, are second hand homes in such good condition. This property is ready to move into - no painting or finishing required. Located in a cul de sac of just five houses the property is as near showhouse condition as a second hand property can be. With the M7 motorway just minutes away and local schools within walking distance this stunning home is a must view. Accommodation includes three double bedrooms (1 ensuite), spacious Kitchen/diner complete with fitted kitchen & appliances (utility off), living room with bay windowm main bathroom and guest WC. Outside there's a large rear garden and carport accessed via a rolling shutter door.